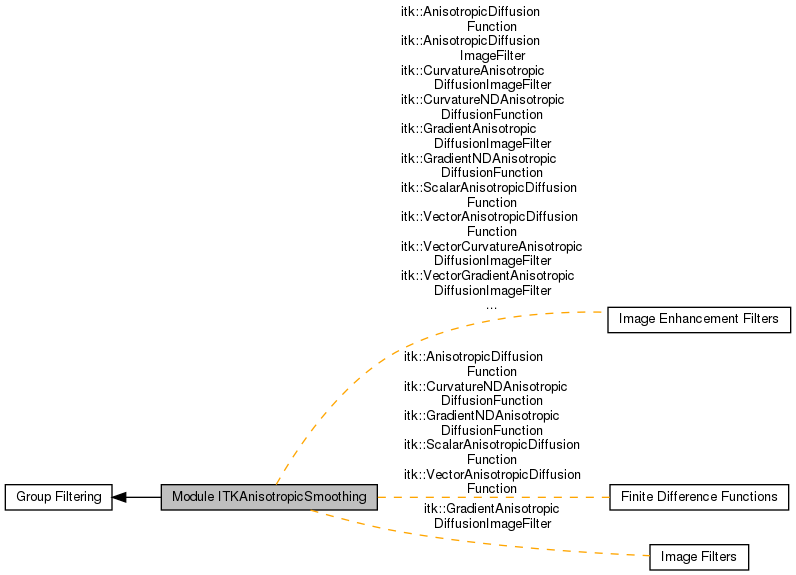 This module contains filters that implement variations of anisotropic smoothing. This is an image denoising technique that strives for preserving edges on the images while smoothing regions of uniform intensity. This type of filtering is convenient as a preprocessing stage of segmentation algorithms. You may find useful as well the filters in the ITKCurvatureFlow module and the ITKSmoothingModule.